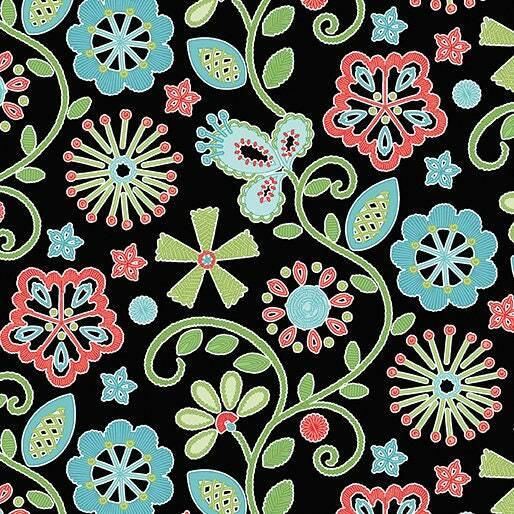 Everything you would need for your dream sewing room, in one cool fabric collection! Amanda’s whimsical and colorful collection features threads,scissors, dresses, sewing machines, and so much more! She uses Scissors and other sewing notions to make medallions and flowers! Mix them together for all sorts of fun sewing room projects (check out the BOM!). Very Amanda, very cool!